Wundanyi in the Taita Hills, Kenya, 28 May 2017. Length is about 5 mm. 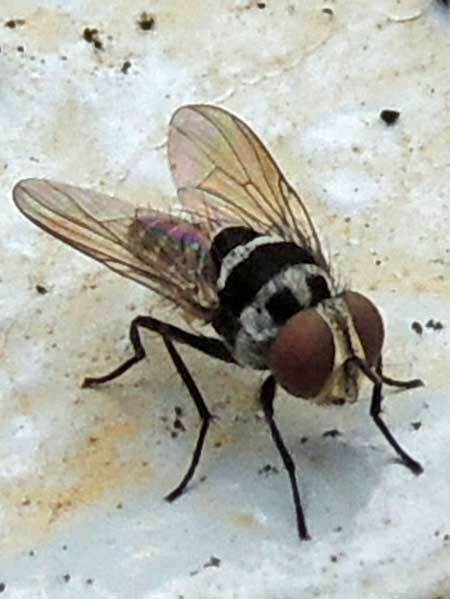 There are thousands upon thousands of fly species to be found throughout Kenya. Each species fills a particular niche in the ecology of forests, pastures and wetlands. The majority of the larval habitats are moist, at least for part of the year. Amateur naturalists in Kenya can help fill the knowledge gaps by finding and rearing out grubs, maggots and caterpillars to their adult forms while recording all relevant host and habitat data.